New Mural Coming to Park View | Park View, D.C.
« Meeting Introducing Community to Prospective Park Morton Developers Scheduled for September 4th. 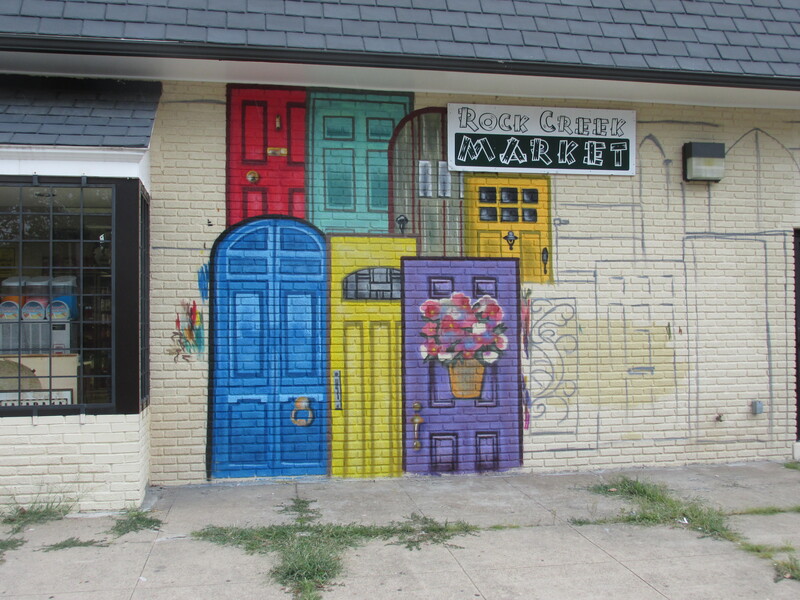 Last Friday, I noticed that a new mural is now in progress on the Warder Street side of the Rock Creek Market (corner of Warder and Rock Creek Church Road). The mural is the work of Juan Pineda (Website here) and is in collaboration with Murals DC. 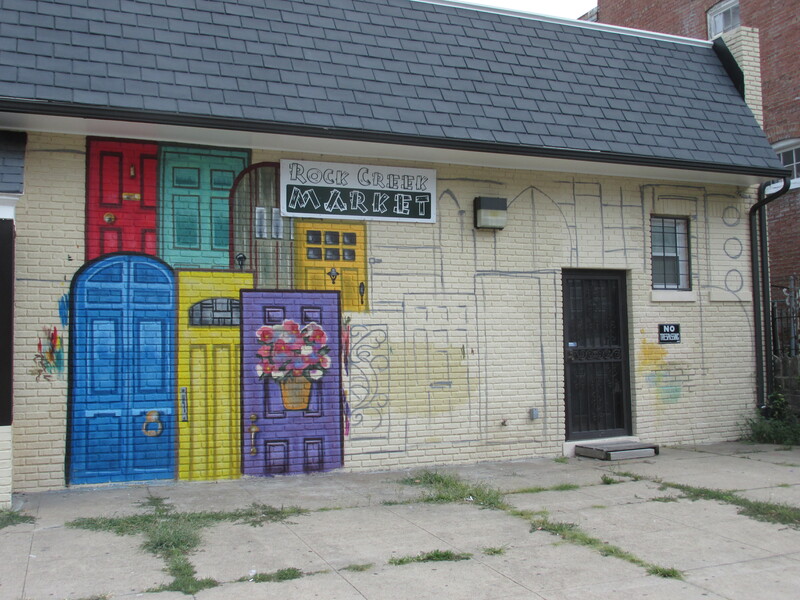 Murals DC had originally come before ANC 1A at their May 14th meeting to discuss the possibility of a mural coming to Rock Creek Market, but no design or artist had been selected at that time. The mural’s design is a series of multicolored doors of various shapes and sizes. In speaking with the artist, I learned that the concept behind this is that these are doors of opportunity. The wall at Rock Creek Market where the mural is being painted has been tagged twice in as many years. Below are photos of the mural in progress. This entry was posted on September 2, 2014 at 5:01 am and is filed under Art. You can subscribe via RSS 2.0 feed to this post's comments. Love the doors! We enjoyed watching the progress on this mural over the weekend. Nice addition to the neighborhood. Lovely! We have one in Columbia Heights just completed on 13th, north of Otis in the alley. I have progressive pix if you’re interested! Sure, would love to see them. dosage based on the individual pig’s weight. Your hair protected the top of the head from the elements.